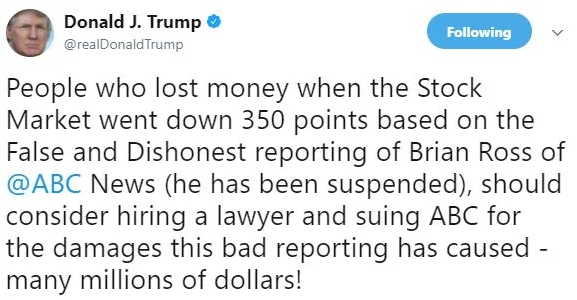 President Trump has suggested on Twitter that investors need to sue ABC news. 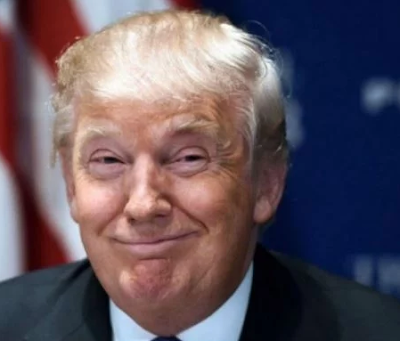 He pointed to the 350-point downturn the Dow took after a story broke from ABC news. Stocks fell after ABC News reported that Flynn, who had pleaded guilty to lying to the FBI, was prepared to testify that Trump "as a candidate" directed him to make contact with the Russians. 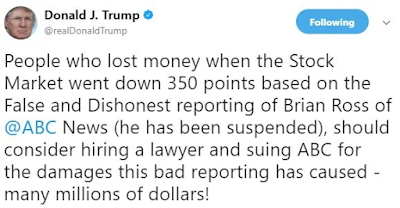 That's enough, Trump said, for "people who lost money" when stocks fell to consider suing ABC "for the damages this bad reporting has caused in many millions of dollars!" Already, ABC News apologised and said its report was wrong, also Investigative reporter Brian Ross who wrote the report has been suspended.